San Simeon is a small town above Cambria and Morro Bay that is known for two things, Hearst Castle and Elephant Seals. 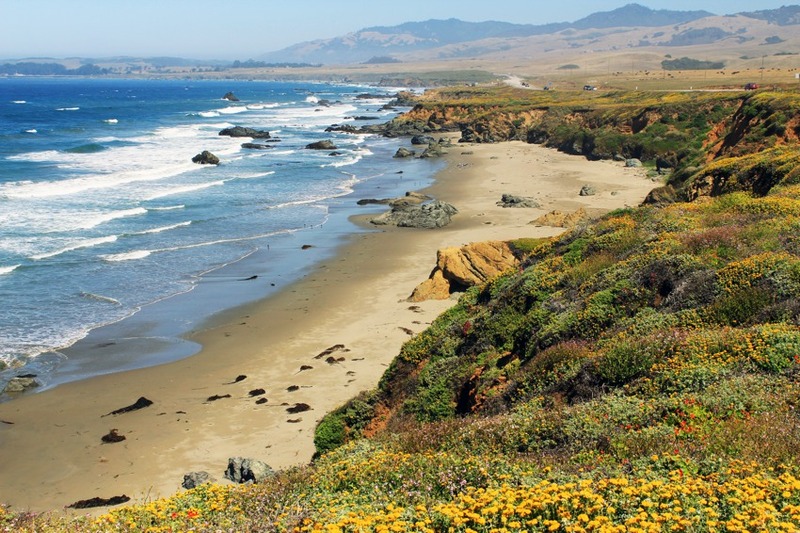 I have visited both, and while I love Hearst Castle, the elephant seals are my go-to stop. These creatures are truly unique with their vast stature and overall playfulness. These seals really do get their name as they are massive and the males can grow to 14 ft and 5,000 lb, while the females grow to 11 ft and 1,400 lb. Here is all the information visiting them. They usually give birth around December and January, so that is a fun time to visit. 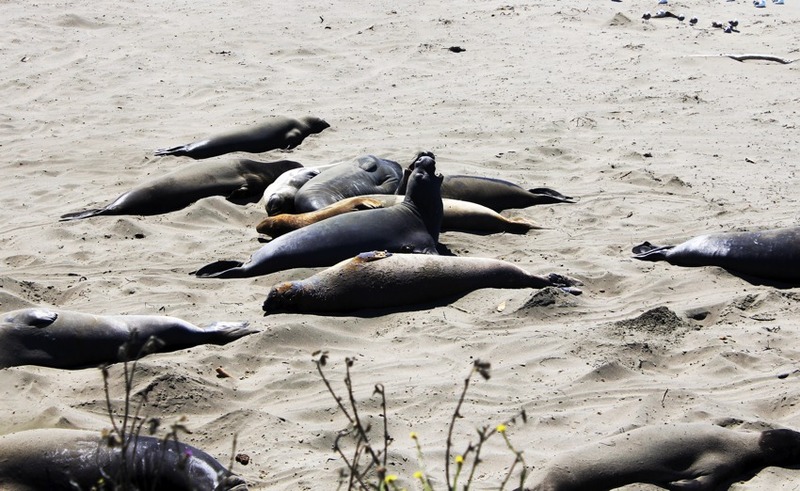 The seals viewing area is located right off of Highway 1 before get to the Big Sur Coast. 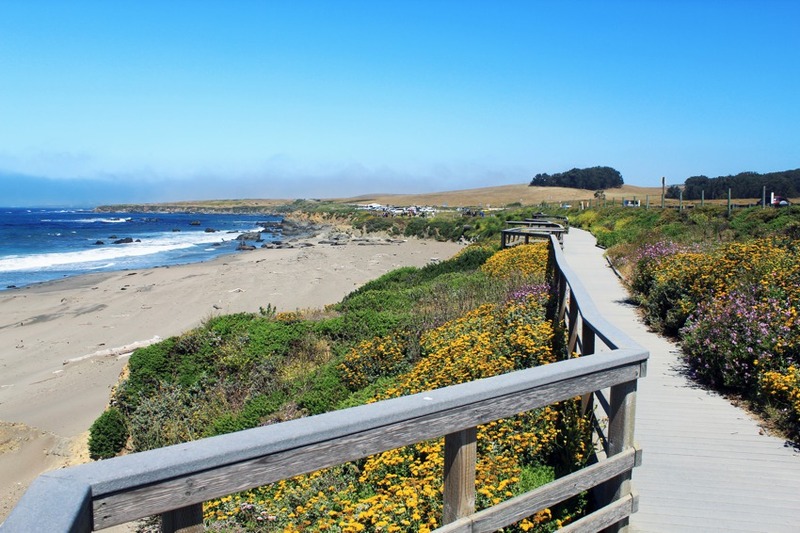 The viewing area can sneak up on you, so make sure you keep your eyes peeled once you pass through the city of San Simeon. There are signs letting you know it is coming up though so if you are paying attention, you should be able to find it. You will usually see a lot of people here and a lot of seals, like the below picture. 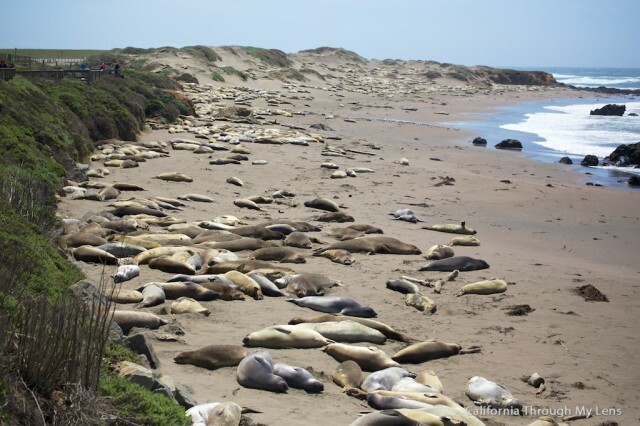 This is a popular attraction with many daily visitors, and you can easily spend some time taking in the beautiful coastline that is adjacent to the seals. 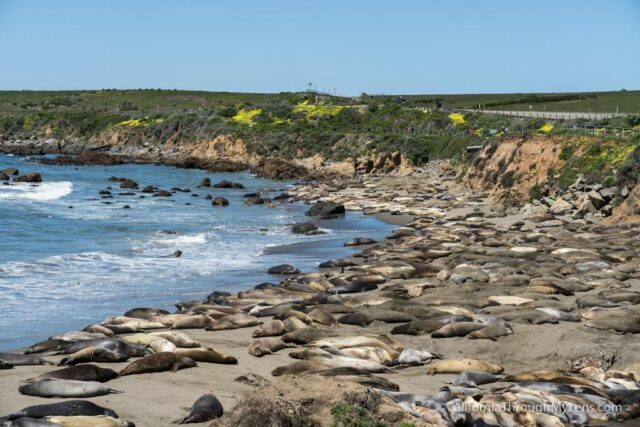 This part of Highway 1 is one of the most beautiful areas, and you can see why the seals would want to come relax here. You can only get about 25 feet from the seals at any given point, and there is a long walkway that allows you to have many different views of them. If you are going to take pictures, make sure you bring a zoom lens so you can use it to capture fun shots. The seals themselves are very playful, and they are always making noise and biting each other. You will notice that they are continually throwing sand on their backs to protect themselves from the sun. It is funny to watch them do that ant to see them worm up and down the beach as well. The pictures may not show it, but these creatures are huge. It is good that you can’t get closer than the viewing area because they appear to move pretty fast and outweigh the average human by 1,100 pounds. Make sure you walk the whole length of the viewing area as there are more spots in the back where fewer people usually go. Plus the scenery is beautiful so you will want to take it all in. 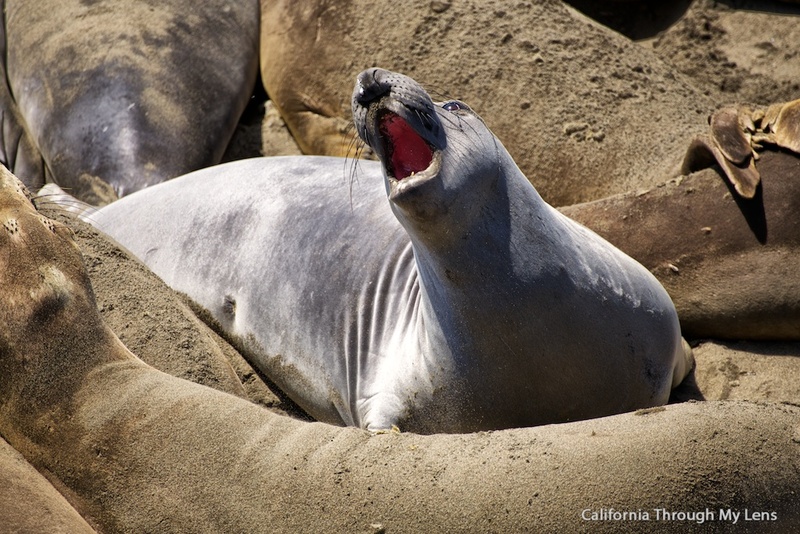 If you find yourself in the area, don’t just visit Hearst Castle, spend some time with the elephant seals as well.